Sometimes you have to spend good money for art supplies and sometimes – you don’t. For instance, you can get a lot of beautiful, mysterious, and dramatic effects with leftover tea and coffee for free. 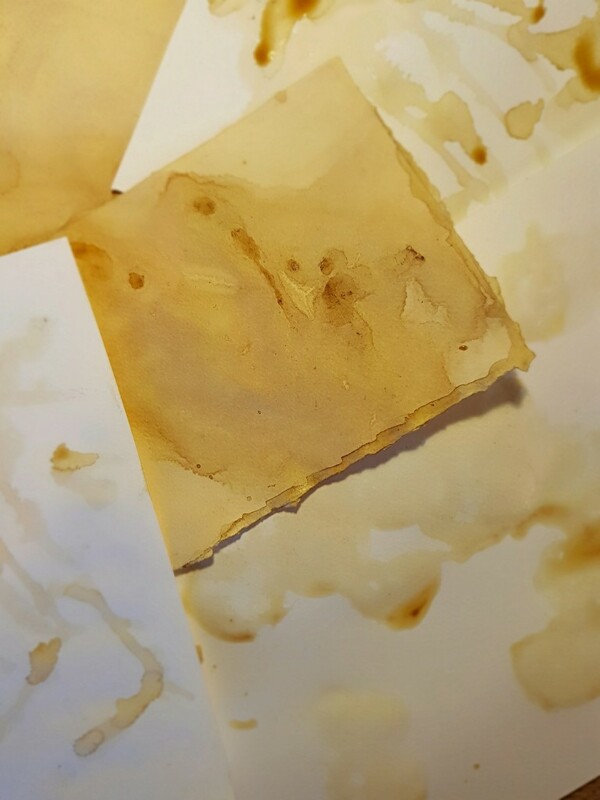 Tea stained pages. 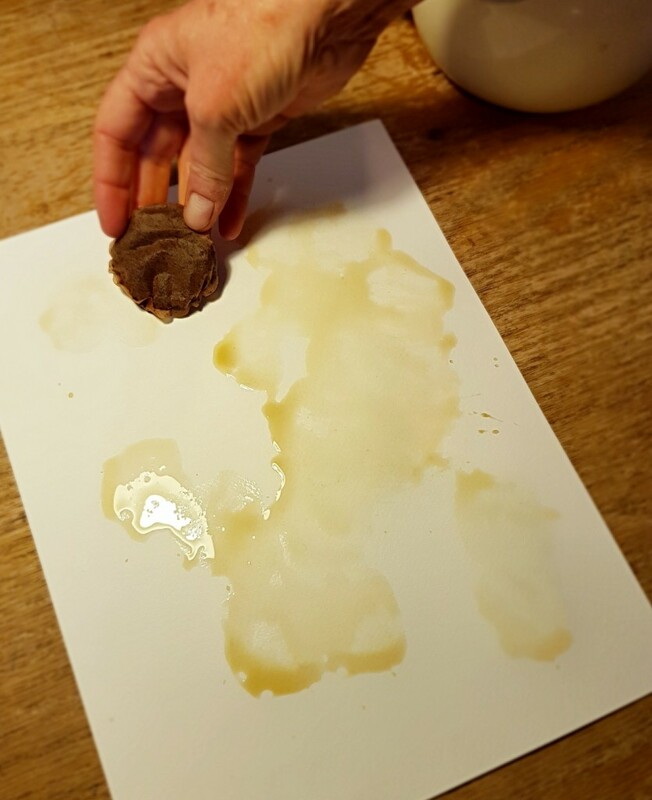 Simply soak pages in strong tea (I use double the tea bags for a heavy brew) for a few minutes for a pale shade or overnight for a deeper patina. 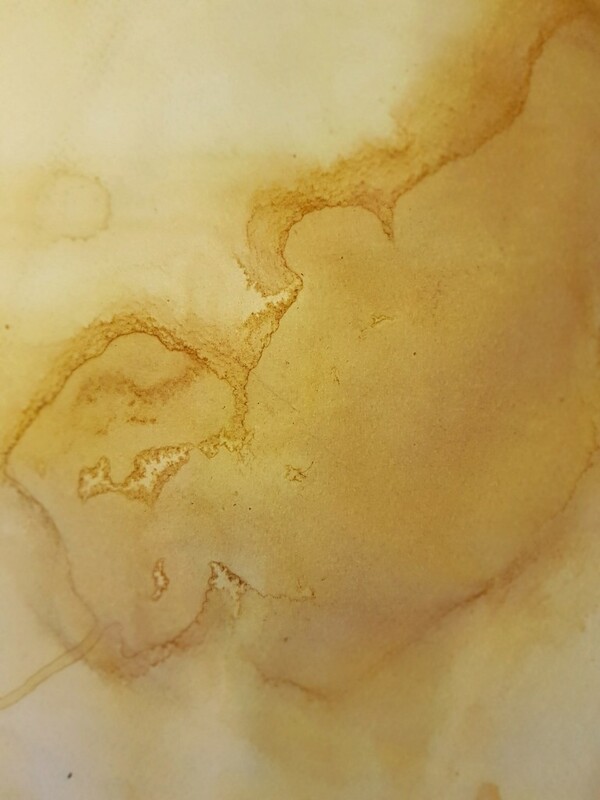 If you rotate the pages while still damp, the tea will travel over the paper and then pool in different parts so that the staining is irregular. This can also be done with coffee. 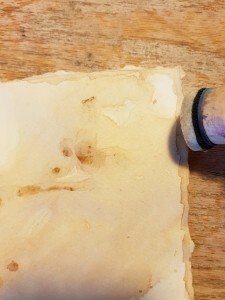 I prefer to get a light, parchment colour with tea and then use coffee for mark-making. While you can use it straight out of the pot, I always take the day’s leftovers and leave them in an open container overnight. The water evaporates a little making an even stronger brew. (I actually let my coffee evaporate for several days. It is not always intentional – I just get behind on stuff and it sits there waiting for me, getting darker and darker.) You can also use instant coffee and make it even stronger. 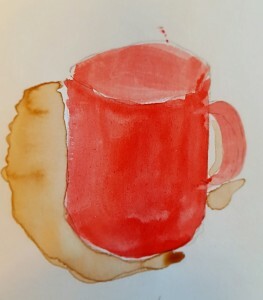 Add coffee to either a white page or one that has been tea-stained. Pour by hand or use an eyedropper. Here I have used a turkey baster. 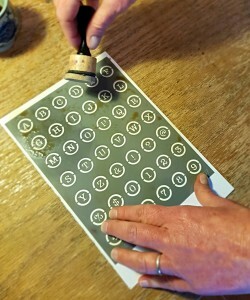 Makes little rivulets of coffee streams, then rotate the page so that it runs and pools in different places. By the way, this will give your pages a coffee aroma. If this bothers you, you can then soak it in clean water (this may lighten the effects) and allow to dry again. Me, I can’t be bothered, so I turn the scented thing into a plus, a further sensual aspect to the page and your project. 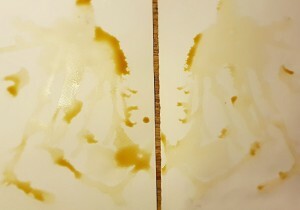 Press wet pages together at this point to make a Rorshach test-like blot. 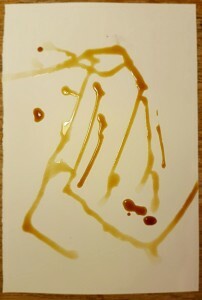 Use with stencils. While I am using a fancy tool, a cheap cosmetic sponge or stencil dauber will do just fine. Tear the edges of your pages for a faux, deckled edge, then use the coffee to instantly “age” your edges. 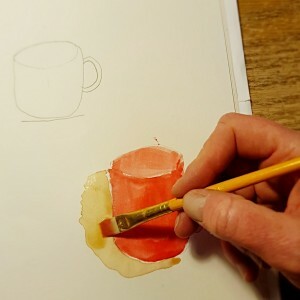 Use tea to add shadows to your figures in your sketchbooks using a brush. 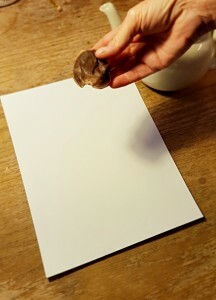 You can also use tea bags for mark-making on a white page. Take a used tea bag and pounce away on the page. You want the tea bag to be a bit soupy for a variety of tones. Important note! 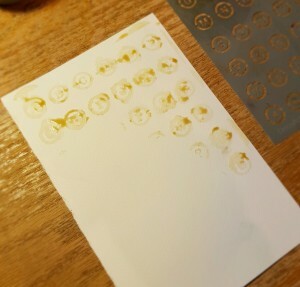 Even after the paper has dried thoroughly, some inks will feather, especially fountain pen inks. Test carefully before writing on your finished project!